Are you looking for a magician in Cochin (Kochi), across Kerala or anywhere in India to entertain your guests? Are you looking for making your event an irresistibly enchanting one? Don�t worry about the group you are addressing. It could be 5 or 5,000. We have it in us the ammunition to transport your guests to a different and amazing world of fun, frolic and activity. You name it, we have it! If you want to entertain your guests with an unmemorable and exotic magic show, or a close-up show at a private party or a full-scale stage show at a birthday bash we can provide the complete entertainment to your utmost satisfaction. So what are you waiting for? Pick your phone and dial for an event that will be exciting and memorable! Check our presentation for professional MC service in Cochin. If you are thinking of motivating your staff and improve their productivity read the following lines carefully. Conducting team building activities on a regular interval make organizations more efficient and powerful. 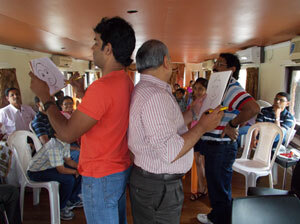 Are you looking for a team building activity organizer in Cochin - Kochi or anywhere in India? We provide you Team Building Games, Icebreakers, Energizers and Closing Activities at topmost standard. Present your invited guest at your next meeting with India’s most demanding corporate entertainment and only comedic-psychological show in the nation that make your guest thanking you for giving them a great entertainment and discuss about the events for a long period to come. Are you a searching for an Indian Mentalist? As Mentalist Aladin has specialized in real-time mind-reading and hence people call him Mind-reader Aladin. 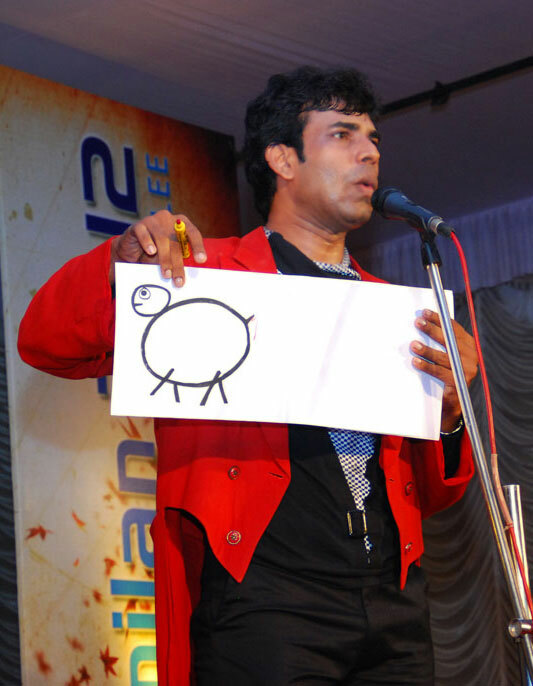 Mentalist Alain is settled in Cochin city of Kerala state of India. 6 Key Aspects To Consider While Comparing Magicians In Cochin, Kerala, India. . . If you're in search of hire a Magician in Cochin for your next event, then you'll be happy you found Aladin . . . It does not matter which type of occasion there is, whether it being a gala dinner, product launch, conference, private or business function or corporate event, it's crucial that you come to realise getting the right Magician In Cochin will make it a great success! An excellent example of the "Right" Magician to hire is India's leading Aladin. Are you searching for a birthday party organiser in Cochin or anywhere in Kerala to make your child's next birth party highly succesful and remembered for the months to come?